Gossett was drafted by the New York Knicks in 1958, but by that time he was already acting and he decided to continue with that instead of basketball. In 1985, Gossett saw a six-year-old homeless boy on Good Morning America; that day, he began the process of tracking him down, and later adopted the boy. Sharron was later accepted to Kent State University. 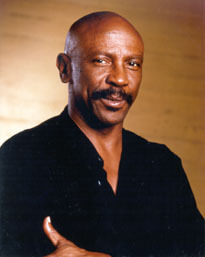 NNDB MAPPER Create a map starting with Lou Gossett, Jr.